Learn how to find a certified Glock armorer. Glock pistols originated in Austria over two decades ago. They revolutionized the handgun industry with a simple, lightweight design, combined with high-end polymer technology, according to Glock.com. Most Glock owners can easily field-strip their handgun to perform necessary maintenance. Other more intricate maintenance duties can be complicated, and will require the skills of a certified Glock armorer. Glock armorer classes are offered all over the U.S., and these services are fairly easy to locate. Contact your local Glock dealer and ask if they have a certified armorer on hand. Most authorized Glock dealers will have a couple on staff. Go to your local gun shop to see if they have certified Glock armorers. Many larger sporting goods stores may have this service, while smaller mom-and-pop gun shops may not. Typically, a sign is put in the window of the business with a certified Glock armorer logo on it. This lets you know that they do have a certified Glock armorer on hand. Search online for Glock armorers in your area. Many gun shops have websites, and those who sell Glock handguns will have a reference listing if they have a certified armorer on site. Glock armorer training courses and Glock armorer manuals are available in many places throughout the U.S. You also could become a certified Glock armorer. 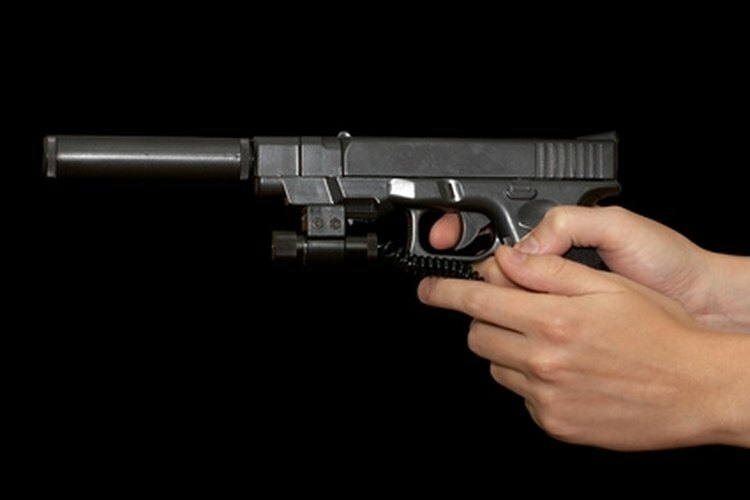 Never point a Glock handgun at anything that you do not intend to shoot or kill. How Can I Tell When My Handgun Was Made?